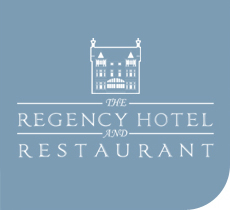 The Regency Hotel is famous for its Murder Mystery Dinners throughout Leicestershire. Enjoy a sumptuous 3 Course Meal, whilst professional actors perform in front of you, scene by scene. Have your wits about you during these fun-filled evenings and piece together the clues to work out who or what committed the murders. Prizes are regularly available for best dressed, correct answers, most creative answers etc..
Group bookings are always welcome and if booking for a special occasion please let us know so that we can make the night that extra bit special. See Latest Events Tab for forthcoming dates. Why not call or email us now to make a booking or request your free events brochure to see what we have to offer.